The New York Times is cleaning up its digital design by switching to a single-column layout. Small, standard banner ads will no longer live on the right-hand column of the article template on its website, which was previously “crowded with ads and other content that draws a reader’s attention away from what they came for: the story,” per the company. Now, full-bleed, in-stream ad units will be integrated with the article and are responsive to the page’s width. The digital design is built around the Times’ FlexFrame display units. The Times now has a single responsive article for both mobile and desktop on the web, and the same code to render stories in its native apps, Google’s AMP and its own content management system. The redesign “marks the culmination of a years-long project to create an article ecosystem that promotes internal efficiency and delivers an enhanced reading experience for our users,” according to a post written by Frannie Hannan, Josh Hoeltzel and Peter Rentz, the senior product manager, senior development manager and design director for the story page, respectively. 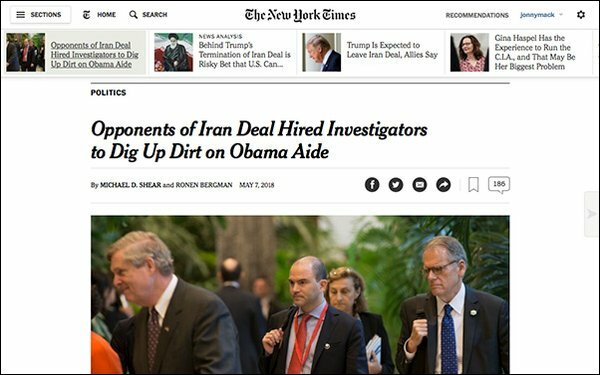 The New York Times claims ads on the pages with the single-column layout are achieving two-times the click-through rate of the old design. Initial studies show higher brand recall and four-times the reader attention to ads, the company added. The redesigned page successfully integrates "our reader and advertising experiences with a pristine, user-focused design,” stated Allison Murphy, vice president, ad innovation. “A more engaging page is better from every angle. It means more connection with our journalism and more connection with the messages of our marketers." The New York Times reported a 6% dip in digital advertising in the first quarter of 2018, mostly due to declines in display advertising. This marked the first time since the second quarter of 2016 that digital advertising declined. Digital advertising, which was about $46.7 million in the first quarter of this year, makes up one-third of the company’s total advertising revenue. 1 comment about "'New York Times' Redesigns Site Layout, Enhances Ad Response". PJ Lehrer from NYU, May 11, 2018 at 4:10 p.m.